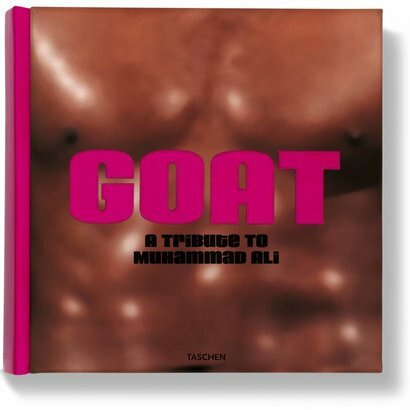 Cover with Ali’s torso and pink lettering. The photolitho Radial Champs by Jeff Koons measuring 50 x 40 cm (20 x 16 in.). Over 3,000 images—photographs, art, and memorabilia, much of it published for the first time—from over 150 photographers and artists. 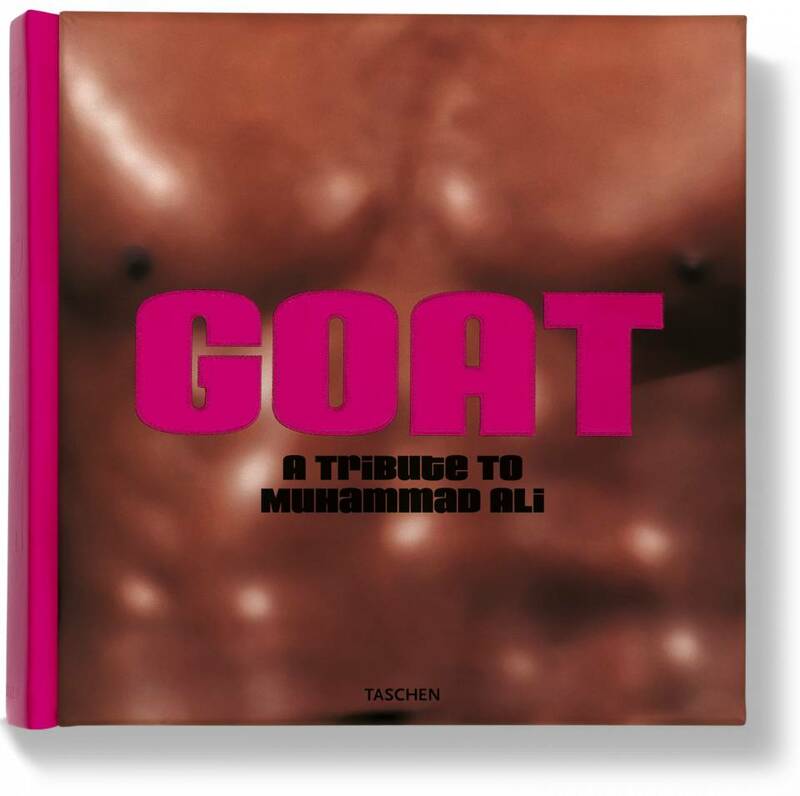 Original essays and the best interviews and writing on the Champ over five decades, totaling 600,000 words. A silk-covered box illustrated with Neil Leifer’s iconic 1966 photo Ali vs Williams. XXL-format: 792 pages, including two gatefold sequences measuring 200 x 50 cm (80 x 20 in. ); nine gold-metallic double-page spreads printed in silkscreen open each chapter. Measuring 50 x 50 cm (20 x 20 in. ), GOAT tips the scales at 34 kg (75 lb.). Highest-quality binding in pink leather, the color of Ali’s first Cadillac. Optimum photographic reproduction, creating unparalleled intensity and range in the colors and exquisite tone and density within the duotone images. Eight-color printing on Galaxi Keramik 200 gsm semi-matte paper with gloss varnish on all images.